Waitress is the irresistible hit musical featuring original songs by 5-time Grammy® nominee Sara Bareilles (“Brave,” “Love Song”), a book by acclaimed screenwriter Jessie Nelson (I Am Sam) and direction by Tony Award® winner Diane Paulus (Pippin, Finding Neverland). 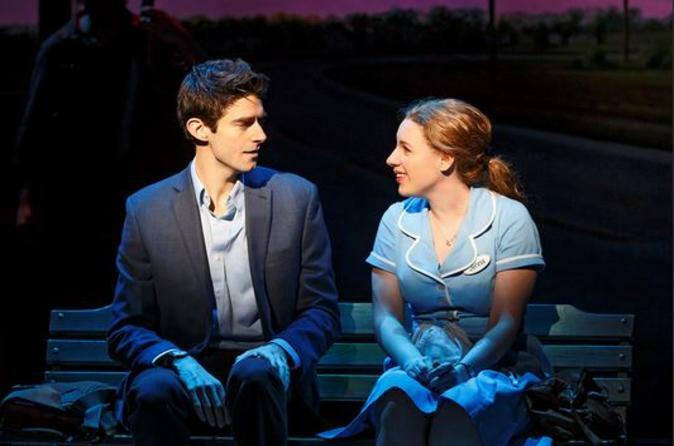 Inspired by Adrienne Shelly’s beloved film, Waitress tells the story of Jenna (Tony winner Jessie Mueller), a waitress and expert pie maker who dreams of a way out of her small town and loveless marriage. A baking contest in a nearby county and the town’s new doctor may offer her a fresh start, but Jenna must summon the strength to rebuild her own life. “WAITRESS is a little slice of heaven!” says Entertainment Weekly. Don’t miss this uplifting musical celebrating friendship, motherhood, and the magic of a well-made pie.